The primary purpose of Adoption Resources is to serve the best interests of children so each child is raised in a permanent and loving family. At Adoption Resources we strive to provide services that protect the dignity of children, birth parents, and adoptive families. Our comprehensive services provide all those involved in adoption with support and counseling before, during, and after placement. Adoption Resources, a private, nonprofit adoption placement program, has been working with children and families for more than 150 years. As a licensed agency, we offer services to adoptive families in Massachusetts. We also work throughout the country to assist birth parents who are considering making an adoption plan. Betsy is a licensed clinical social worker who has extensive experience working with birth and adoptive families. She began her work in the adoption field 30 years ago and has been the Director of Adoption Resources for the past 17 years. 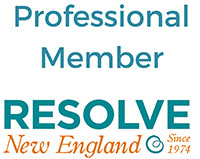 In addition to meeting with birth and adoptive families, Betsy speaks widely about adoption-related issues and has served on the boards of RESOLVE New England and Adoption Professionals Association of Massachusetts. Betsy’s warmth and sense of humor are appreciated by all who work with her. Marty Levy is a licensed clinical social worker (LCSW). She is an experienced social worker and has been working in the field of adoption for more than 20 years. Her expertise lies in the relationship she develops with birth parents, enabling them to process and sort through their options and make an adoption plan that is in the best interest of their child and themselves. Marty also has worked extensively with pre- adoptive families during the matching process through labor and delivery, surrender, and beyond. Janet Eckler is a licensed clinical social worker with thirty years of experience in the field of adoption, having worked in both the public and private sectors. Prior to her home study and post-placement work with adoptive families, Janet was employed for a number of years at the Massachusetts Department of Early Education and Care, the licensing agency for adoption programs in Massachusetts. In addition to her work with Adoption Resources, Janet is a special education teacher working with students in elementary school. Janet has a master’s degrees in both human services administration special education. Susan Ladd is a licensed independent social worker (LICSW) with a master’s degree in social work. Susan has worked with many families adopting internationally and those adopting from the US. Susan is a member of the National Association of Social Workers and has worked with adoptive families for more than 20 years. She also works in hospice care and as a medical social worker. Ava Sarafan is a licensed independent clinical social worker (LICSW) with a masters degree in Social Work. Ava joined Adoption Resources in June 2015. For more than 25 years she has worked with families who are pursuing their dream of adoption. In addition, she volunteers at RESOLVE, speaking about international adoption to prospective adoptive families. She is passionate about her work and feels fortunate to have found such a fulfilling career. Carol Sheingold is a licensed independent clinical social worker (LICSW) with a masters degree in social service. She has been active in adoption practice for over 25 years, she began working for Adoption Resources in 1991. She brings to her practice the experience of parenting as well as her years of getting to know hundreds of adoptive families. She thoroughly enjoys her work and her long history with Adoption Resources. She is a member of NASW and Adoption Professionals Association of Massachusetts. Ellen S. Glazer is a home study social worker with a busy private practice focusing on infertility, adoption, donor conception and surrogacy. She has worked in the Adoption field for more than 30 years. She is also author or co-author of several books on the struggles people encounter in building their families. She speaks widely about family creation.